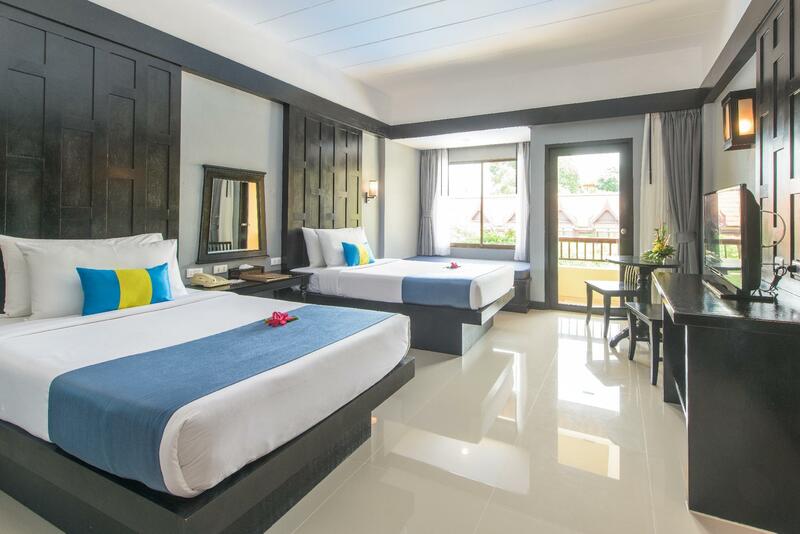 Ada pertanyaan untuk Diamond Cottage Resort & Spa? 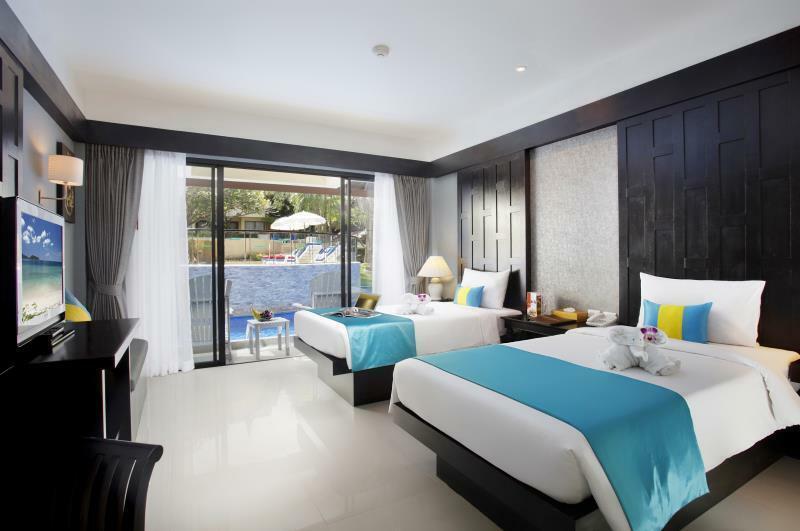 Diamond Cottage Resort & Spa, terletak di Kata Phuket adalah pilihan yang populer bagi para wisatawan. Terletak hanya 25. Km dari pusat kota, para tamu berada di tempat strategis untuk menikmati obyek wisata dan aktivitas di kota ini. Sebagai sebuah tempat untuk beristirahat dan bersantai, hotel ini terletak hanya beberapa langkah dari berbagai obyek wisata kota ini seperti Stadion Peringatan Ibu Suri, Dino Park Mini Golf, M.G.Collection. Dengan menawarkan pelayanan superior dan sejumlah fasilitas kepada para tamu hotel, Diamond Cottage Resort & Spa berkomitmen untuk memastikan penginapan Anda senyaman mungkin. Fasilitas terbaik hotel ini termasuk WiFi gratis di semua kamar, resepsionis 24 jam, penyimpanan barang, Wi-fi di tempat umum, parkir valet. Suasana Diamond Cottage Resort & Spa tercermin di setiap kamarnya. ruang keluarga terpisah, televisi layar datar, akses internet - WiFi, kolam pribadi, akses internet WiFi (gratis) hanyalah beberapa dari fasilitas yang dapat Anda nikmati. Daftar lengkap fasilitas rekreasi tersedia di hotel termasuk hot tub, pusat kebugaran, sauna, kolam renang luar ruangan, spa. Nikmati pelayanan tidak terbandingkan dan penginapan yang sungguh bergengsi di Diamond Cottage Resort & Spa. Anak di bawah usia 5 tahun akan mendapatkan sarapan gratis. Anak berusia 5 hingga 7 tahun akan dikenakan biaya setengah harga dewasa untuk sarapan. It was clear on arrival the staff do not know what is going on and seem confused. The fact we said all had separate rooms, the receptionist asked for the booking details, viewed them and then produced a file for us each all pre filled in. I was then asked to fill in a form with a man's name. I then went to my room and it smelled so I asked for someone to check where it coming from. They did not but sprayed this awful room refresher. The tap was loose in my bathroom so again had to explain it needed fixing. The bed it self was comfortable but the room was very basic. The breakfast was basic with over sweetened orange juice. We didn't try the restaurant at the front of the hotel on the street but had drinks but the service was absolutely terrible. The pool areas are strangely set up but not unpleasant. The beaches are far too crowded so that was our saving grace. This is not the worst hotel but they really need to step up their game as it was not worth the money. We basically let our kids and helpers stay in the hotel and the adults went to SCUBA diving. There are 2 pool area. Once of the pool is about 90cm deep with 2 level slide. Another 1.4m deep. Not too bad for kids to enjoy for awhile. The food is not too expensive in the hotel and around the area. The entrance to the hotel is a slow so not suitable for elderly to walk around unless you have transportation. I have seen very high fees for rooms at this hotels after our stay, but we paid a very modest sum/night when we stayed here. They upgraded our room to one with our own pool entrance, great! Location is excellent, 10 minutes walk to Kata-beach. Very nice pool areas, good breakfast and very friendly staff. I would very much recommend Diamond cottage! We stayed her in low season, so it was good value for money. Our rooms were very clean, and were serviced every day, to a high standard. Free WI-Fi service was very efficient. Pool bar was a novelty, and we tried every cocktail on menu, especially during 2 for 1 happy hour. Staff were efficient and attentive. They tried to sell us various tours, and were good natured when we told them how much cheaper we got things for by bartering with the local agents. The breakfast buffet was adequate. Omelettes cooked to order, and the usual tinned sausages, fried potatoes, noodles, rice, cereals, toast, croissants and fruit available. The only problem was the juice dispenser, which was plagued by wasps. They crawled up the spoilt, and swarmed around the general area. Nothing was done to prevent this problem. The Thai's don't seem bothered by insects on the food. The general area needs a facelift. Dangerous pavements etc. everything here was at least 50% more expensive than Bangkok, but not necessarily any better. Taxis were very expensive. We ventured to Patong for the evening, and wished we hadn't. There were a high number of families in the resort, and many were uncomfortable with things. I don't think that holiday companies warn about this before taking money. Don't get me wrong, I am not a prude, but there is just too much of it in Patong, and I was glad to get back to the hotel - which I can thoroughly recommend. The staff attend to me was very patience, my room was at the Spa wind which is very quiet, the hotel has nice swmming pool ,one of the downside is the sauna is not free. The staff attend to us was very patience,my room was at the Spa wind which was very quiet, this hotel has nice swmming pool,one of the downside is the sauna is not free and the fitness room is in the Spa room which can be very noisy to the people doing the Spa. Quiet, family orientated, clean, good showers, comfortable bed, nice 25mtr swimming pool. Located half way between Karon and Kuta beaches on the hill.On the main ring beach road on a hill but they have a golf cart to take you up and down. The breakfast was average but satisfied hunger. The TV was old but a good selection of channels. Staff helpful. Would stay here again. Good clean well priced hotel away from the sleaze. has a gym and spa on site. 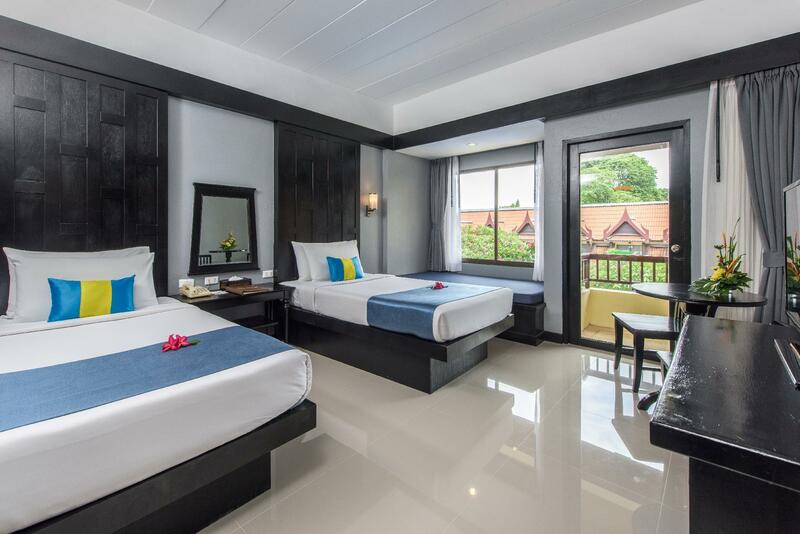 this hotel is located near kata town, just a walking distance from both kata beach and karon beach. we stayed in this hotel during low season, so the staff in-charge upgraded our room and gave us connecting rooms facing swimming pool. it’s really good value for money. 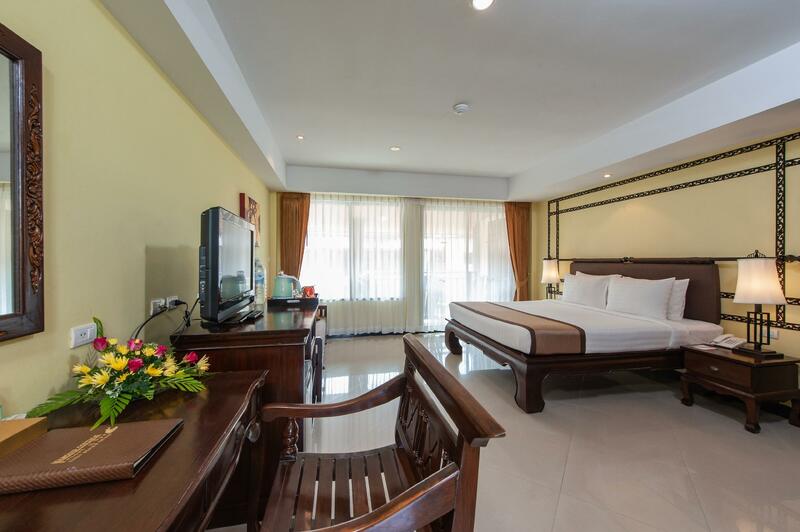 the rooms are spacious with good facilities. our daughters really like the room. they enjoyed several hours every day in the beautiful swimming pools. the spa service and the fitness room are good. the staff is friendly and willing to help. we really enjoyed our six days stayed in this hotel. Transport and tours offered by the hotel. Staffs are warm and always smiled to us. Rooms, pool and restaurants of this hotel are pretty clean. We had a pretty good time in this hotel overall, and I strongly recommend to choose this hotel. However, I cannot recommend to take transportation and tours offered by this hotel as they are expensive and not helpful (at least not for us, though there are plenty of choices around the hotel for transportation and tours). 1. No elevator to the rooms even it was handicap friendly on Agoda. - Not convenient when you come with baby stroller. 2. Breakfast was very bad. For that reason we ate breakfast other places during our stay. 3. Several times the maid, just smacked up our door if she needed to go to the room with something. No waiting time after knocking. 4. We arrived one day late back to the hotel, and the hotel reception couldn´t even change money to pay the taxi driver. They send me down the road to a place that could break a 1000 THB. 5. Roof repair opporsite site of our room. After work the workers took a swim (shower) in our shared pool. It was outside of the peak season, so it seems the focus on customers had really left with the crowd. Mainly Chinese guests when we were there. Good thing to say is the room sizes are good and pool just outside the window. We stayed for a couple nights and loved it. 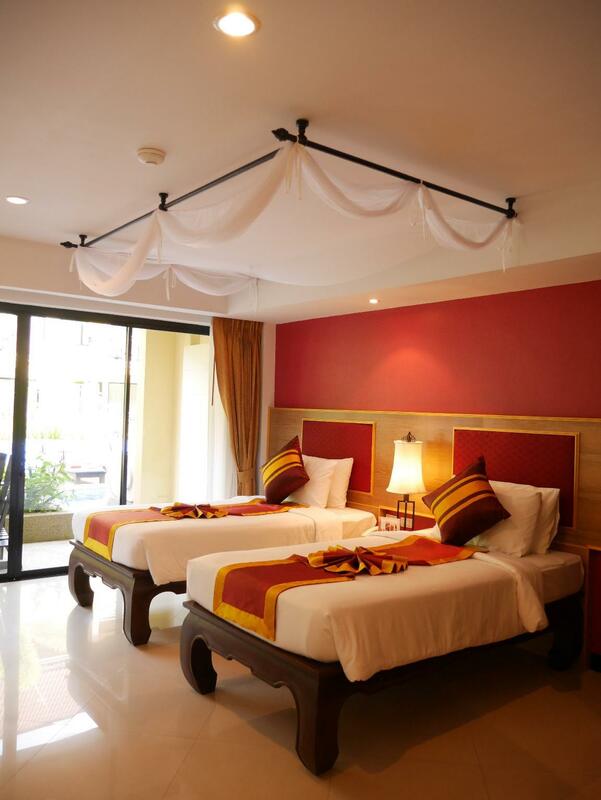 Location is amazing; walking distance to both Karon and Kata beach and about 15 mins drive to Patong. Room was very nice and clean and pool is gorgeous. Breakfast is good with a lot of different options and food/drinks (room service and at the pool bar) is fairly priced. Staff is also amazing; exceptional customer service for all staff members (everyone would say 'hello/morning' etc whenever they saw us) and very helpful. Would definitely return and cannot recommend enough. I was having a vacation with my cousin. 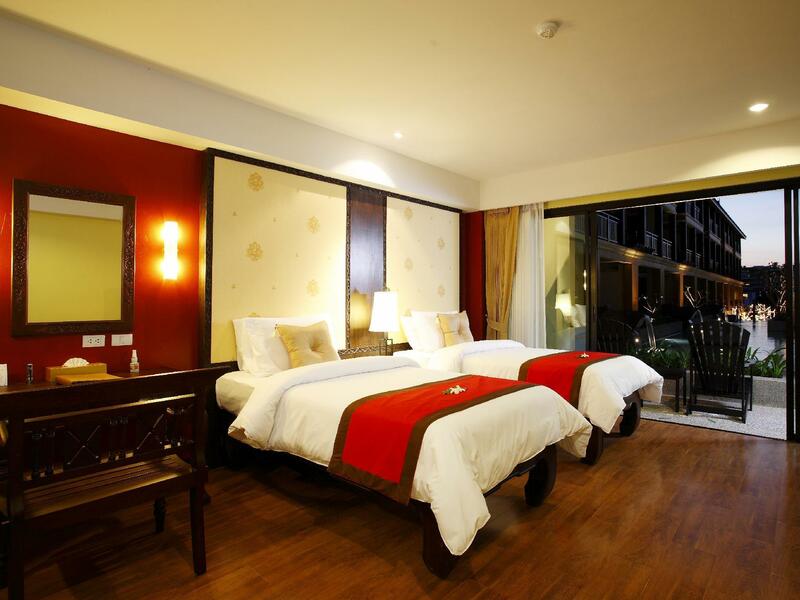 Even though the rooms were fully booked, the staffs show no sign of tiredness. They are all willing to give you the best service. 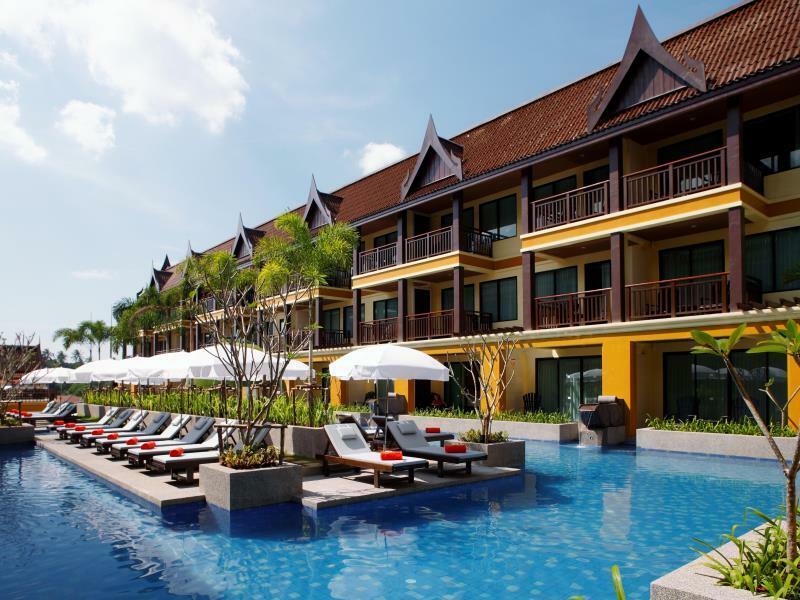 The hotel is located in the walking distance to Karon beach with many restaurants and bars along the way. Very safe. Highly recommended. We loved our stay at this hotel. We had the room that had direct pool access and it was lovely. The only complaint we had about that was that we paid extra for that room, but people from other parts of the hotel would go early in the morning and "save" the lounge chairs with their personal belongings and then not show up until hours later. So we were never able to get the good chairs in the sun! The staff here was very friendly and helpful, the food services were fantastic. The breakfast buffet was very worth it-a large variety and good hours. The hotel was also located centrally and rented scooters so that was nice. The only real complaint we had was the internet was HORRIBLE. It took a while to get connected, and there were only certain parts of the hotel that it worked well. In our room, if we could get it to work, it was spotty and very slow. It made our vacation hard to keep in touch with family back home. We ended up going to businesses or cafes to use their Internet because the hotel wifi was so bad. I stayed 2 days. 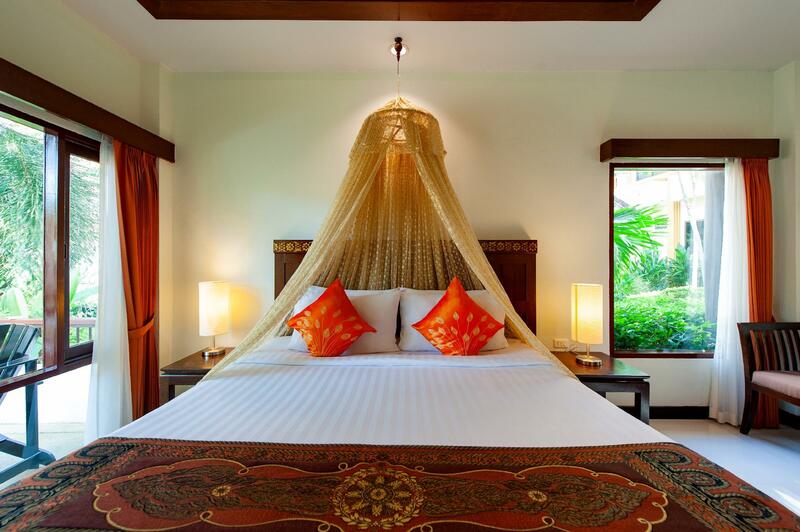 This hotel is nearly Kata beach and Kalon beach. It takes only 10 or 15 minutes on foot. Facility is not the latest one, but this hotel always keeps clean and fee is reasonable. It is noteworthy that all staff are very kindness. I forgot my wear at this hotel, they sent it immediately to Bangkok without any fee. I was very satisfied with their service.